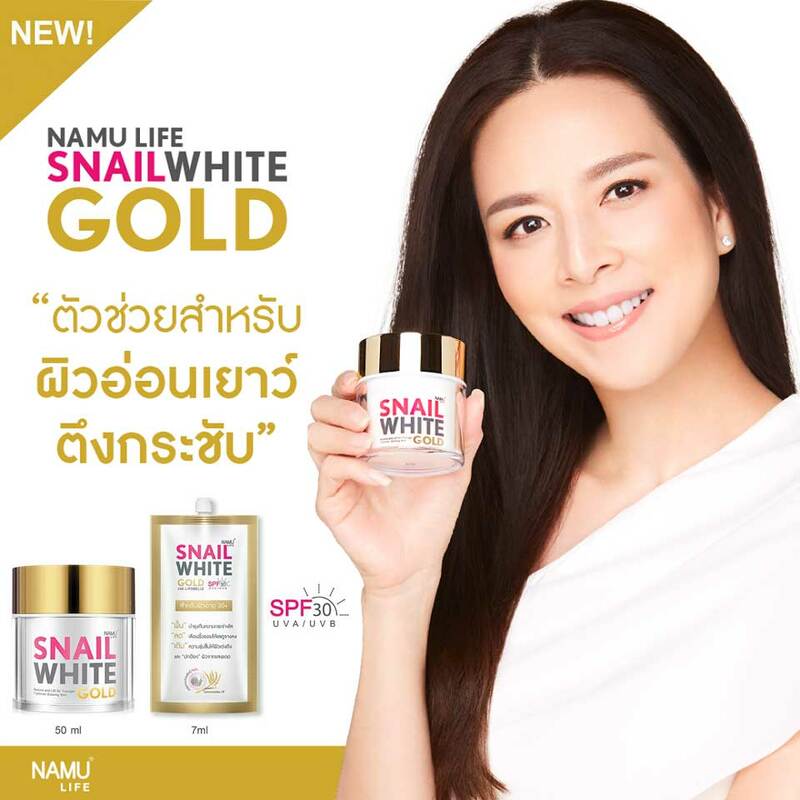 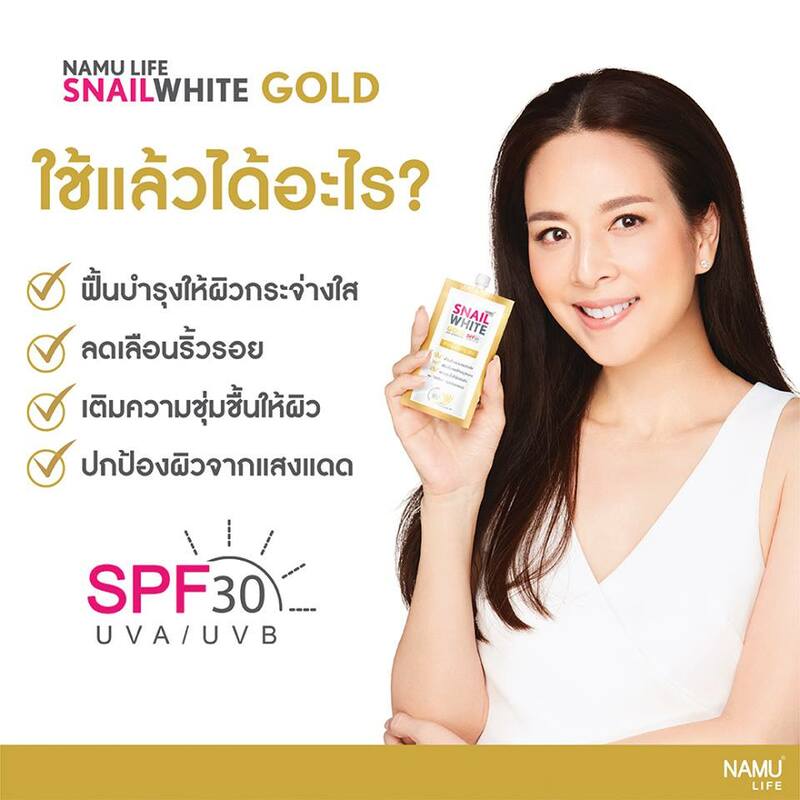 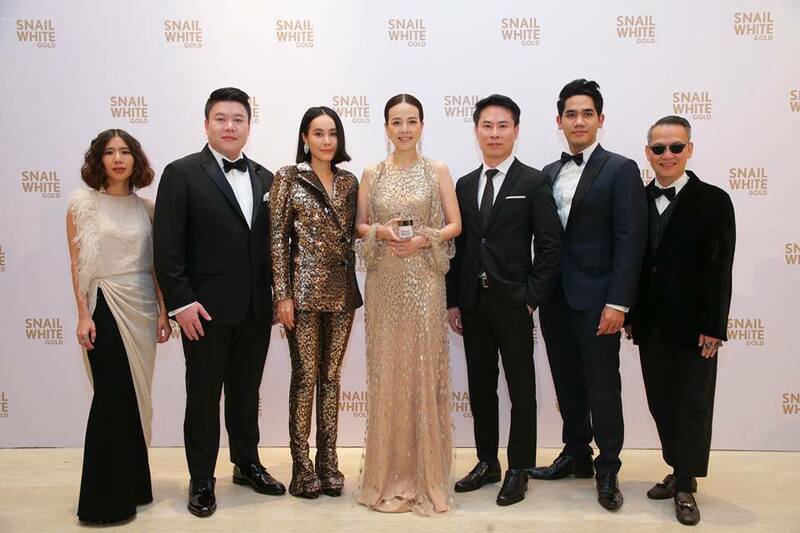 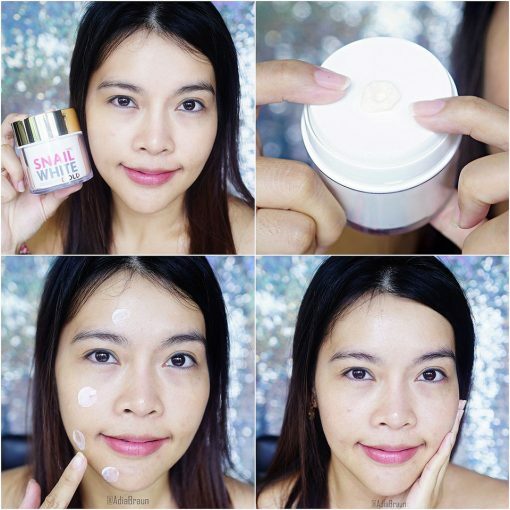 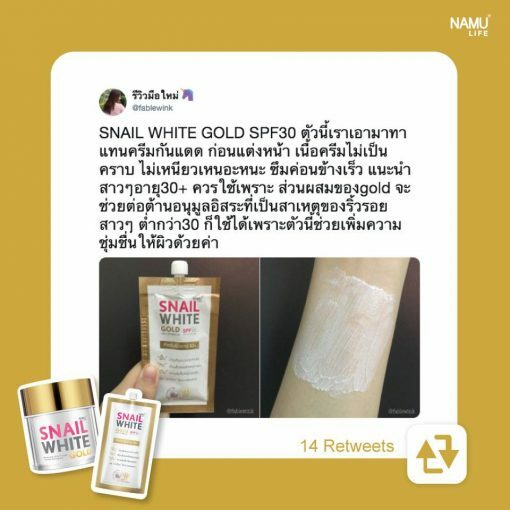 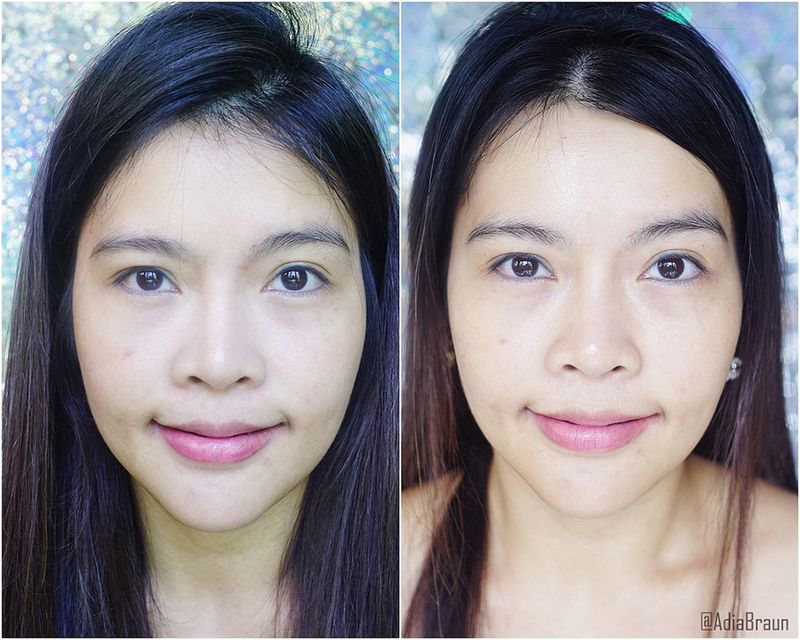 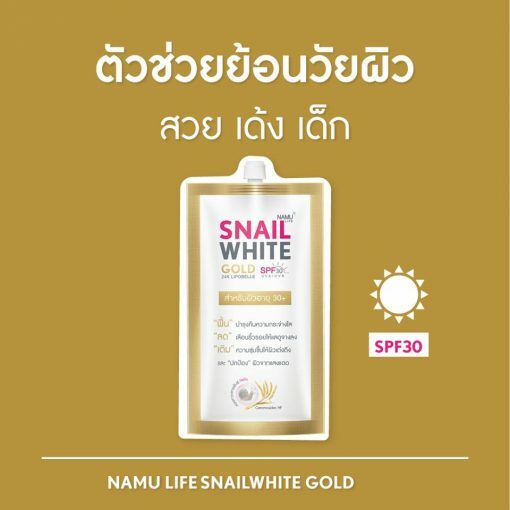 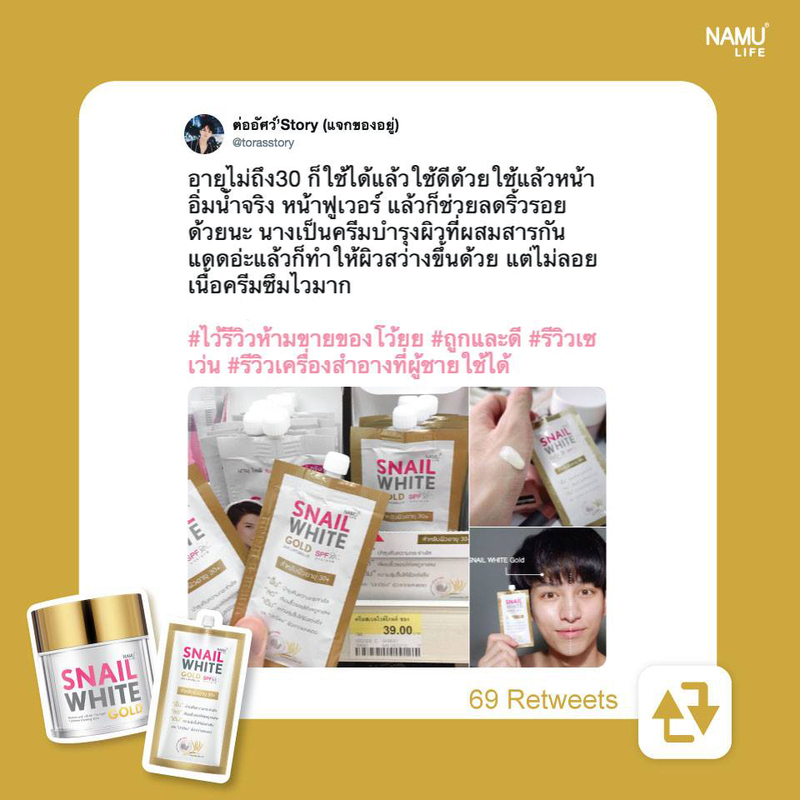 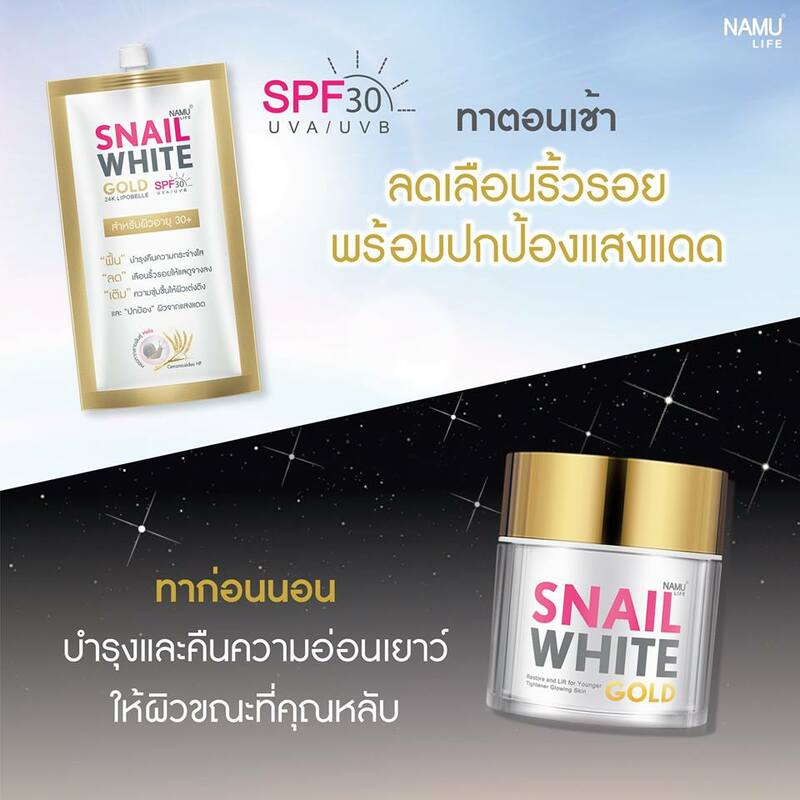 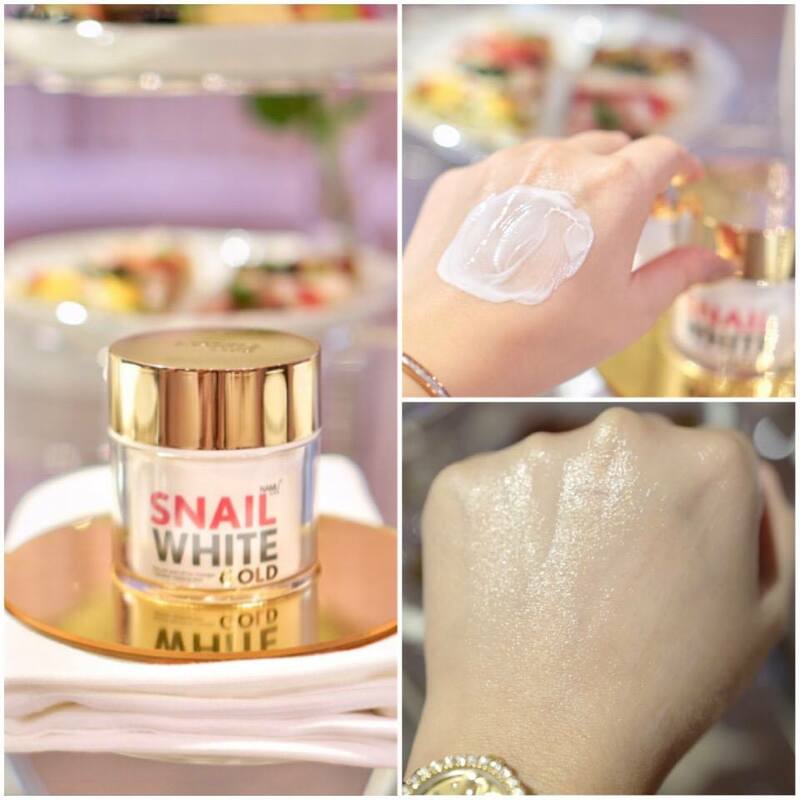 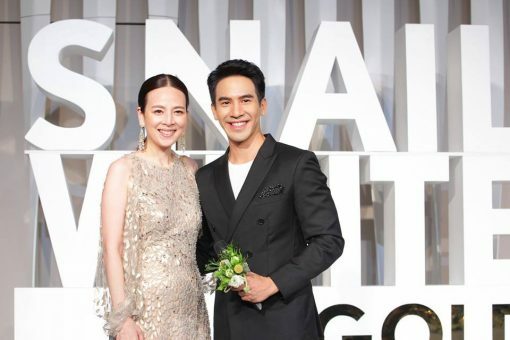 Namu Life Snail White Gold Facial Cream is the cream for youthful and healthy skin with the Helix Snail Slime Extract combined with Micro-Algae Extract from Red Algae in the form of a Polymer network that help tighten skin and diminish wrinkles. 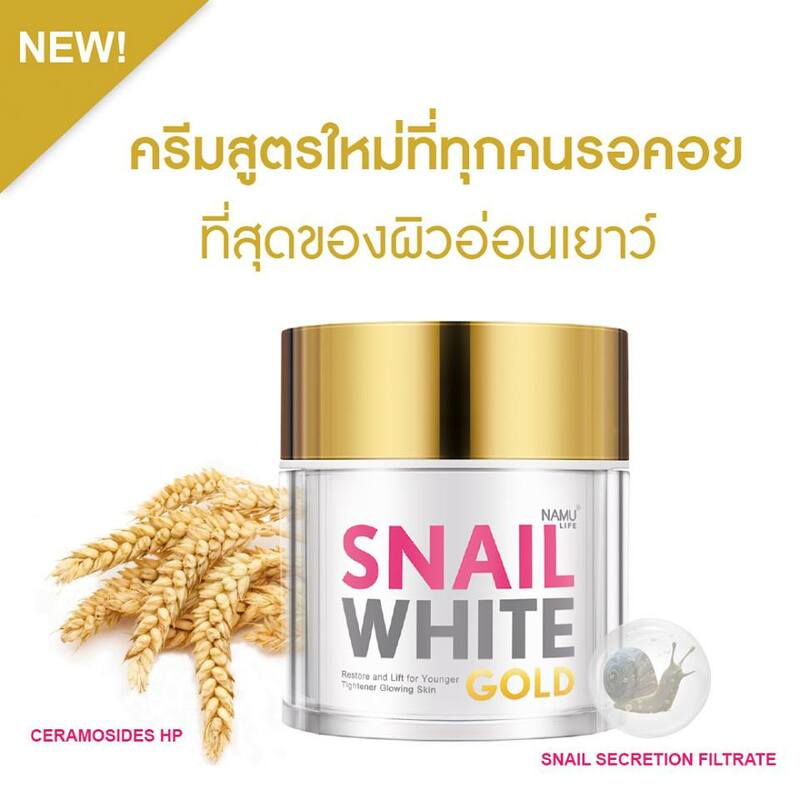 Moreover, Ceramosides HP, the extract from Wheat Seeds helps stimulate the process of replenishing water to skin, promoting skin to be moisturized, look full, and radiant like the baby girl. 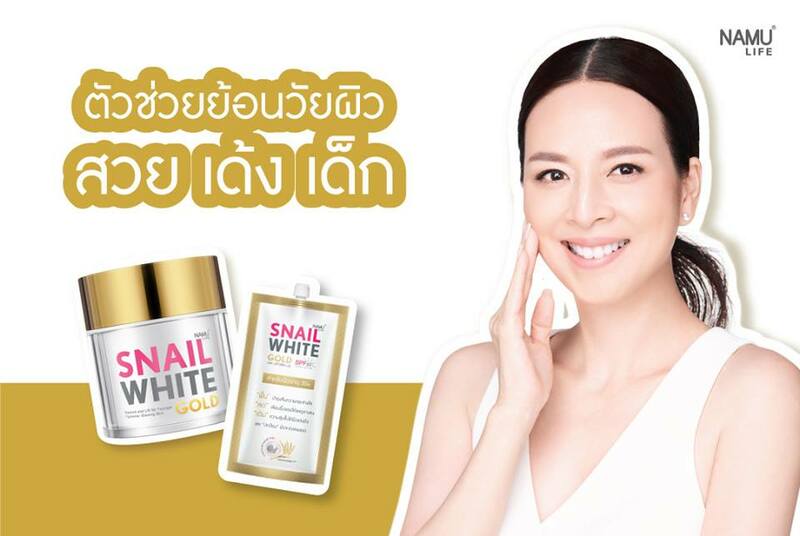 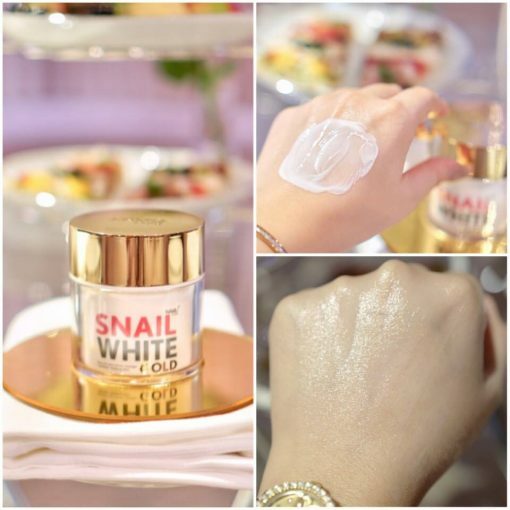 Snail Mucus Extract helps stimulate the production of collagen in skin layer and revitalizes skin cells to be healthy, clear, and radiant. Pure 24 Karat Gold Extract helps combat free radicals that are the main cause of wrinkles, revealing youthful and firming skin. 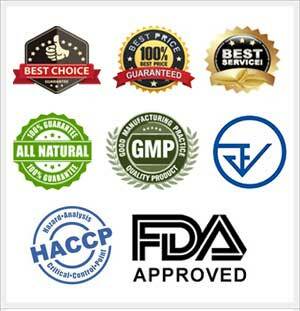 French Wheat Extract provides Ceramosides HP to help prevent water loss under skin, tighten skin pores, and smoothen skin. 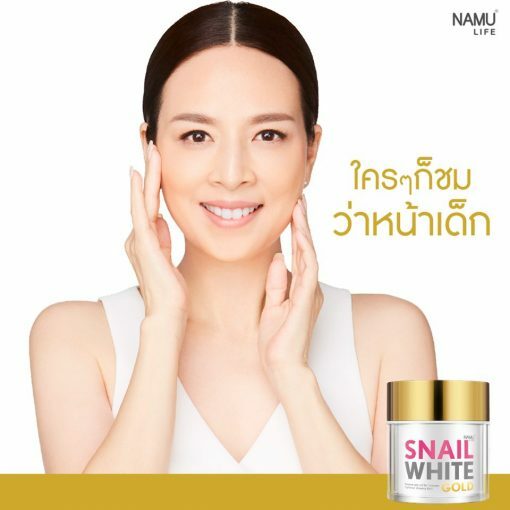 Directions: Press just 1 pump of the cream and apply the cream thoroughly the face and neck with massage and gentle tap to stimulate the function of the cream. Use regularly in the morning and before bed.